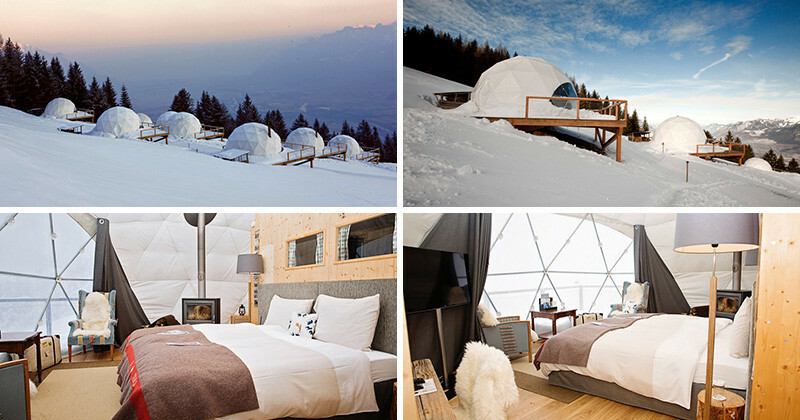 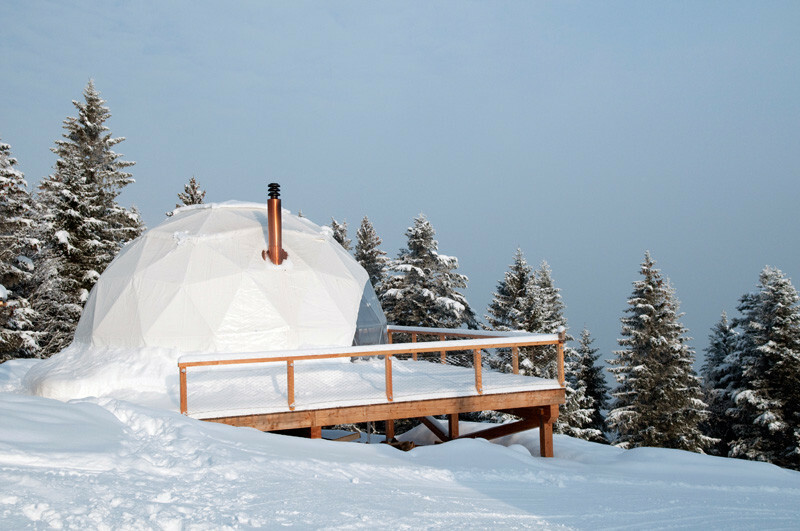 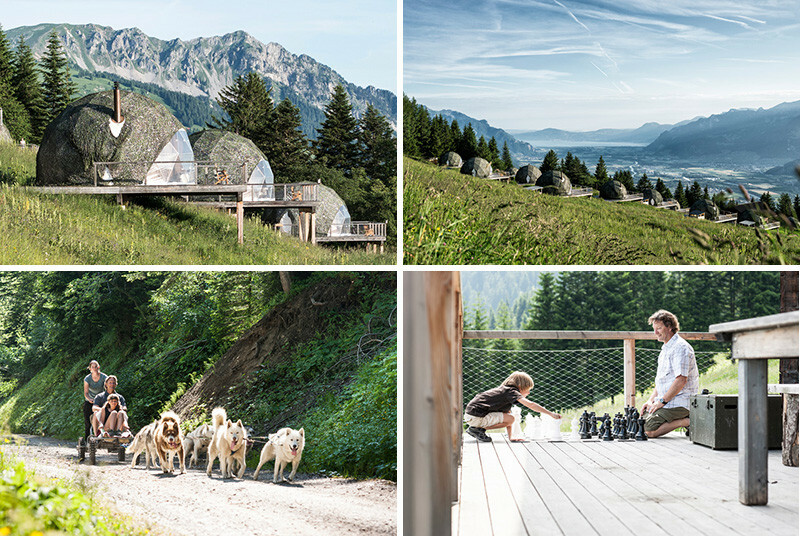 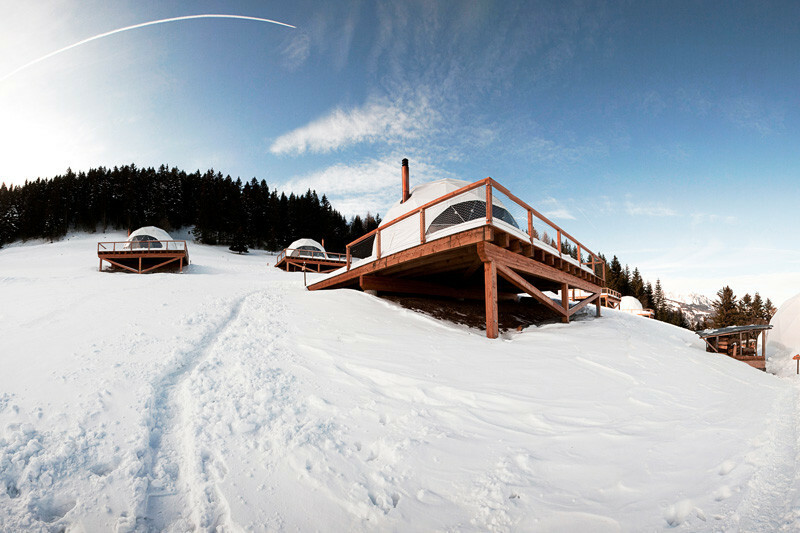 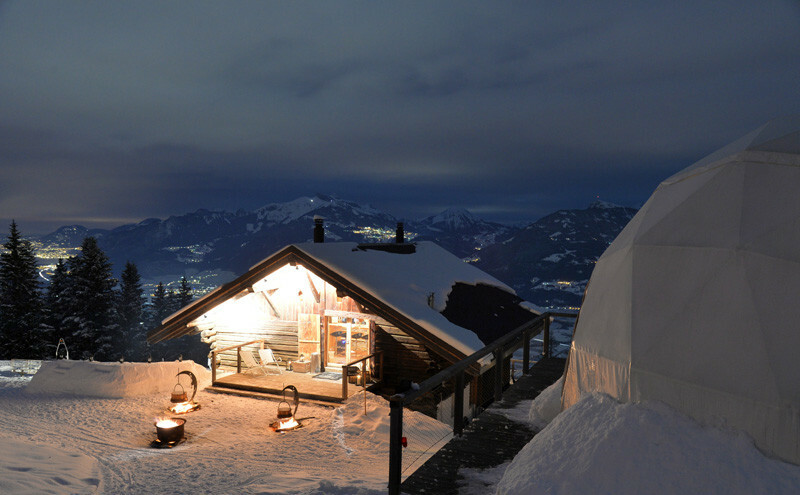 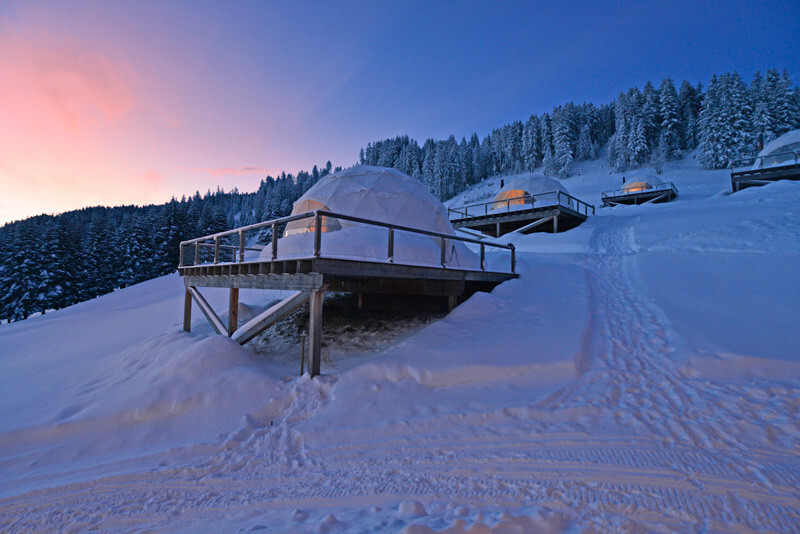 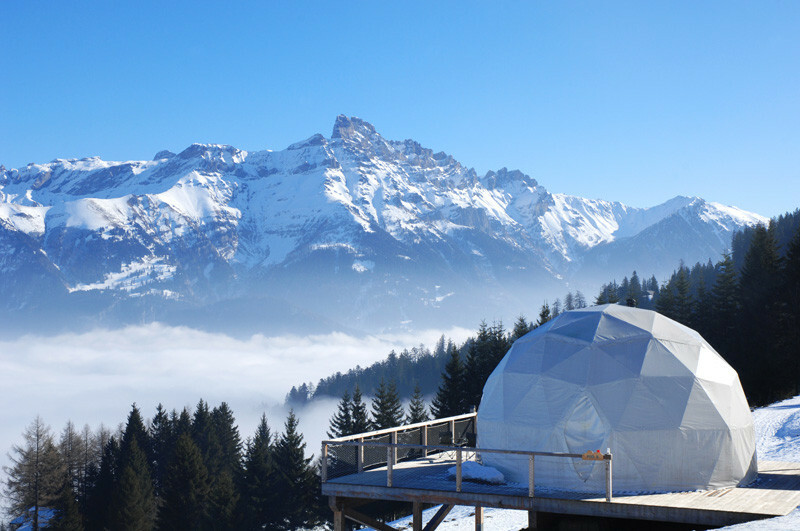 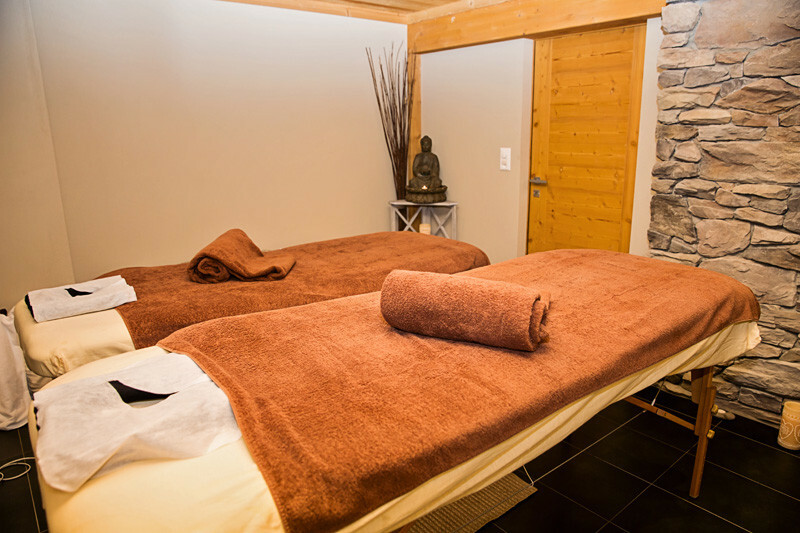 Located at the foot of the Dents-du-Midi mountain range in Switzerland, is the Whitepod Eco-luxury Hotel and Alpine Experience. 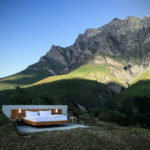 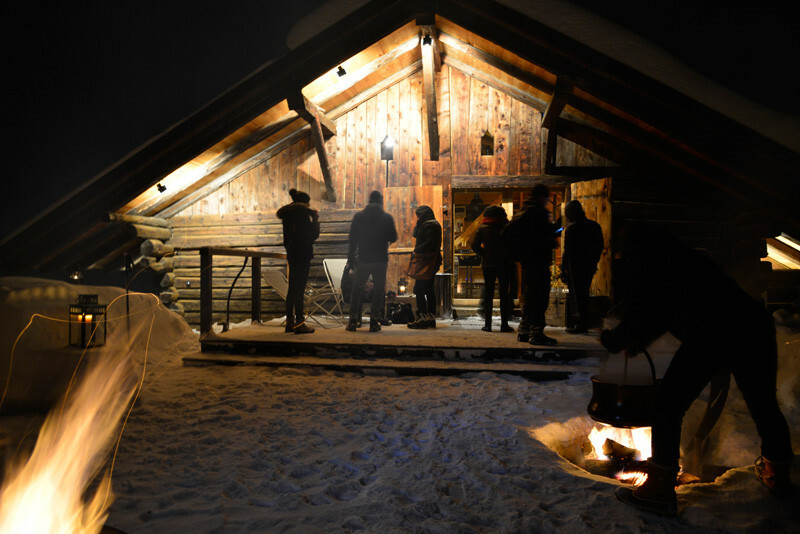 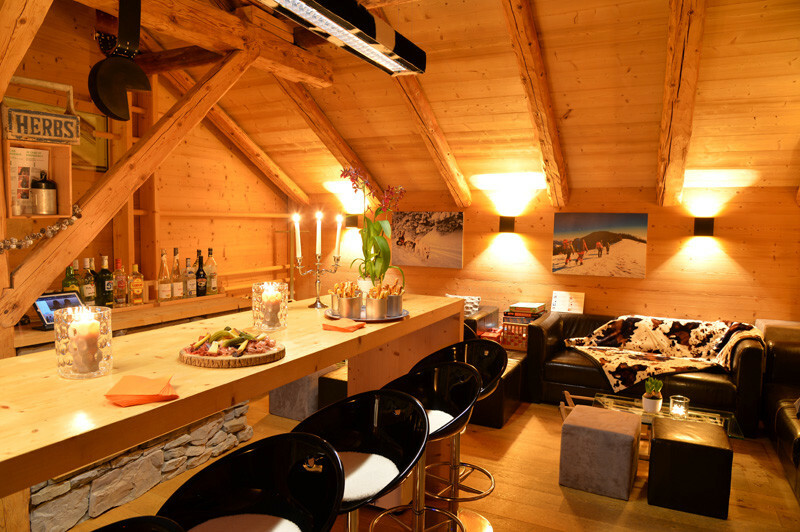 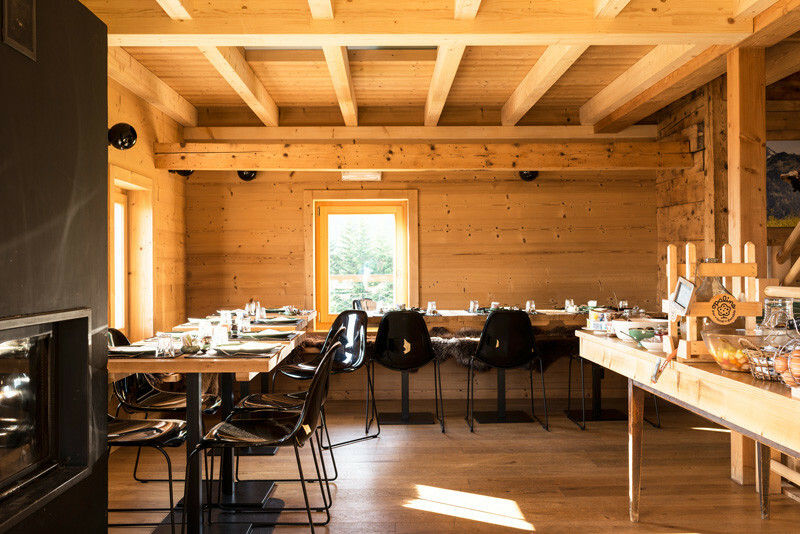 Arriving at an altitude of 1400 meters, high within the Swiss Alps, you’re greeted by 15 pods, the pod house, and restaurant/reception building, The Chalet Les Cerniers. 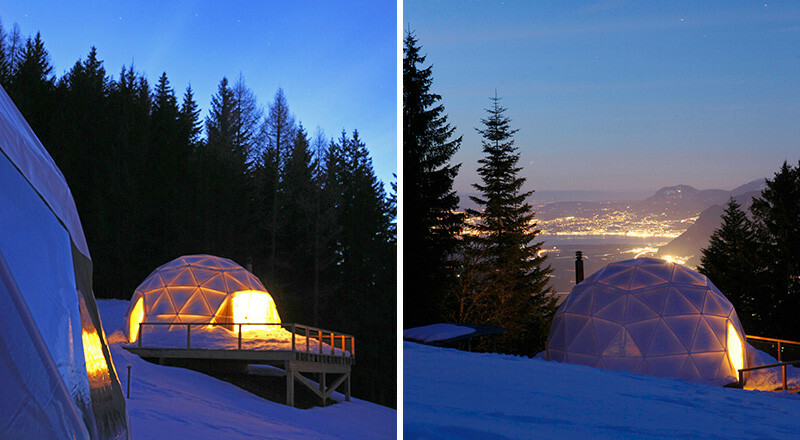 At night the pods light up like little lanterns scattered in the snow. 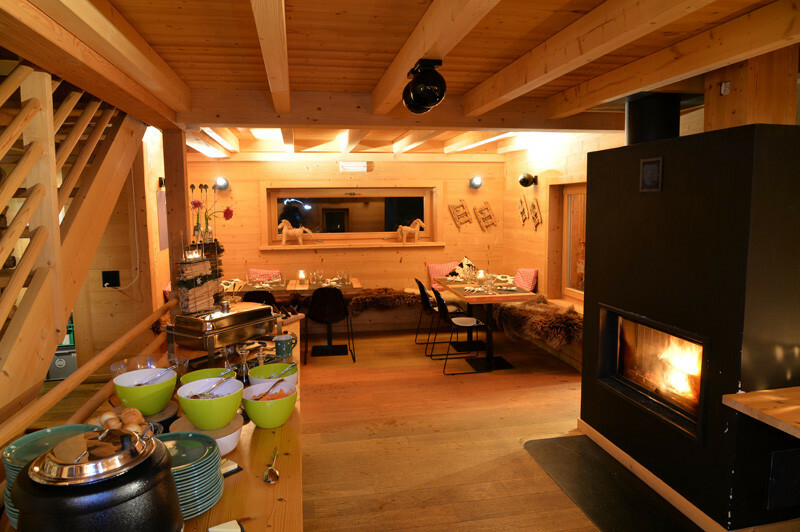 Here is a look at the Pod House, a space which hosts the bar, the breakfast area, the relaxation area with a sauna, and a meeting room. 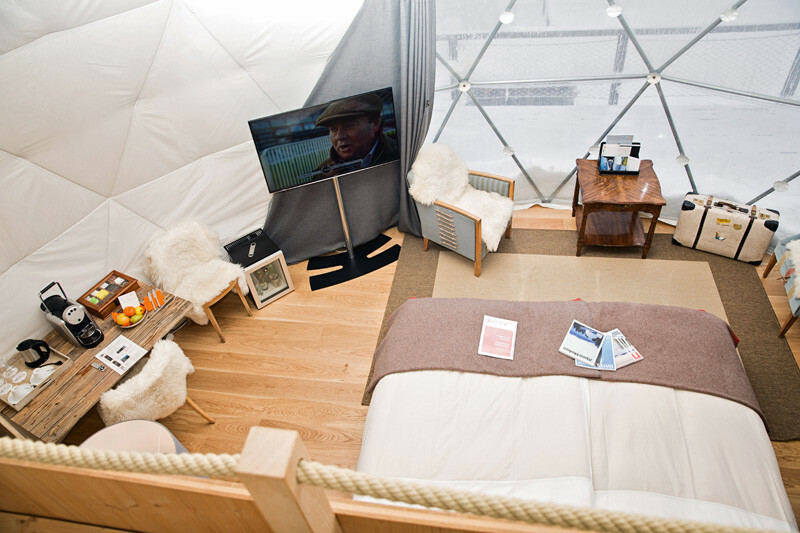 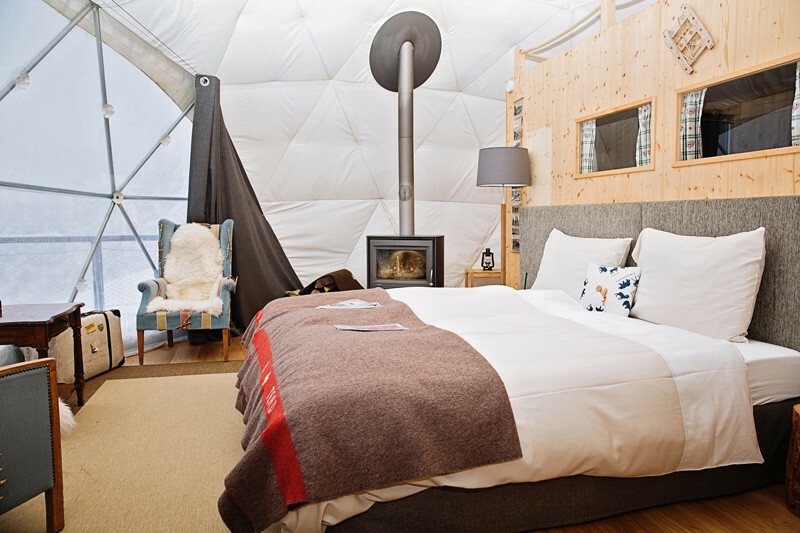 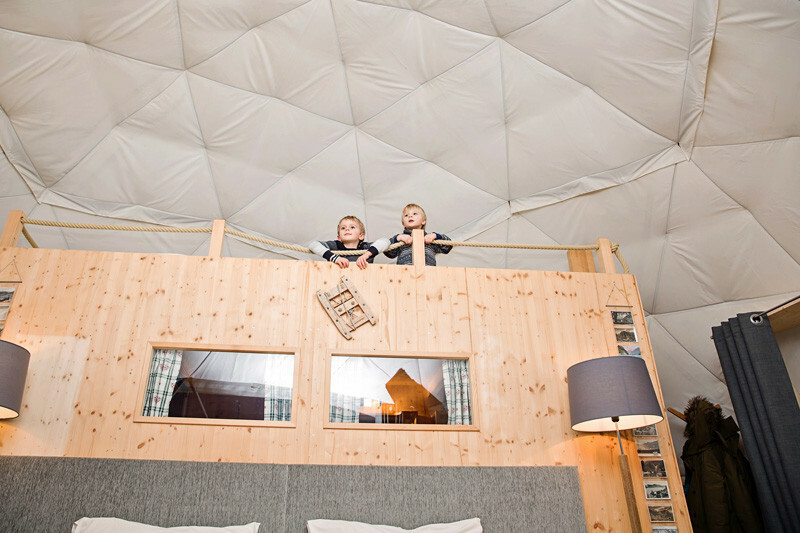 Each of the geodesic-dome shaped pods are fully furnished, and offer a view directly from the bed. 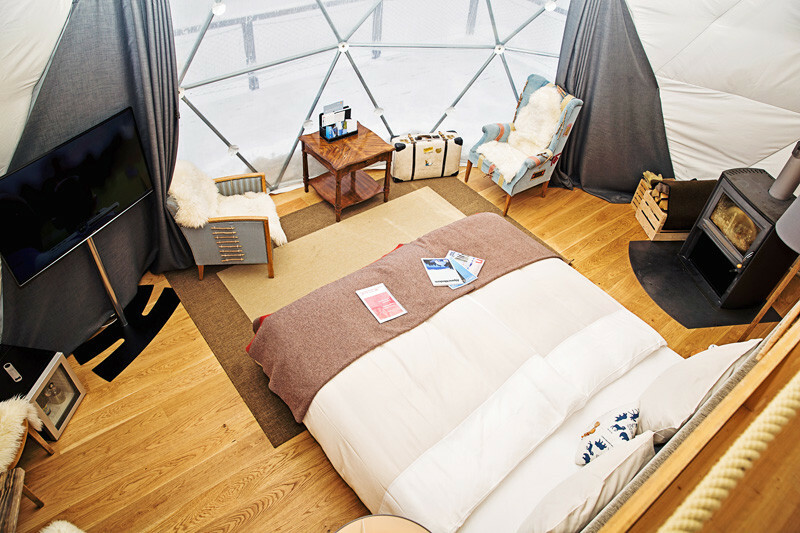 The domes have all of the modern amenities you would find in other hotel rooms, like a television, fireplace, desk and sitting area. 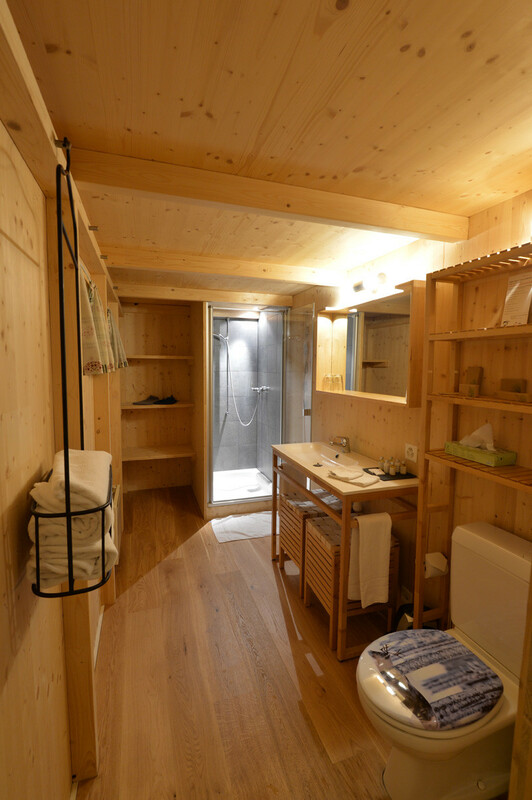 This is one of the five family pods that they have on site. 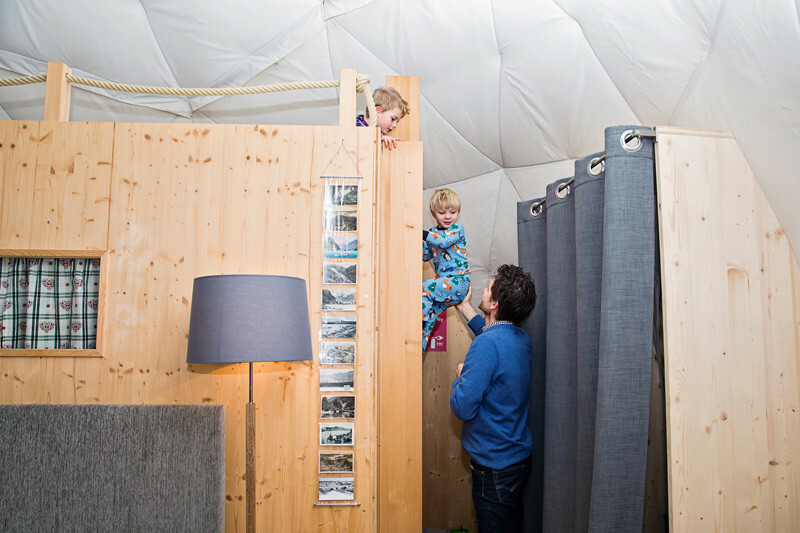 A family pod is similar to a standard pod however you can accommodate 2 children on the mezzanine. 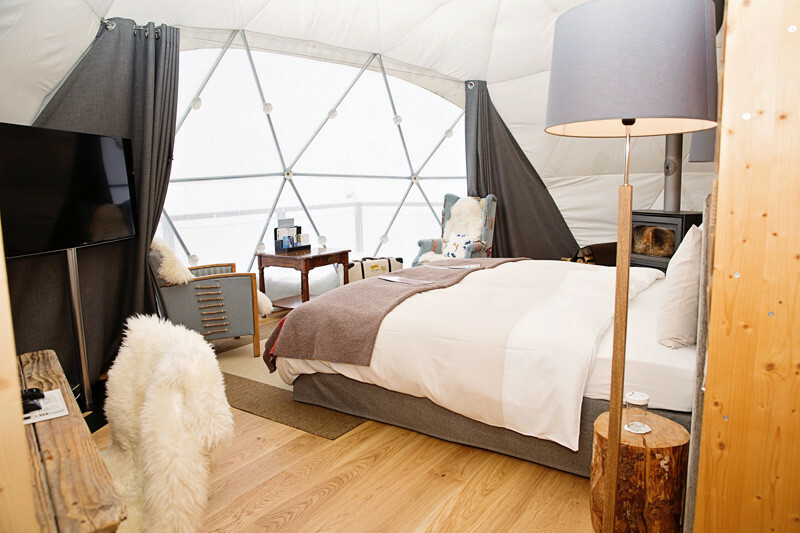 Here is a look at the bathroom within one of the domes. 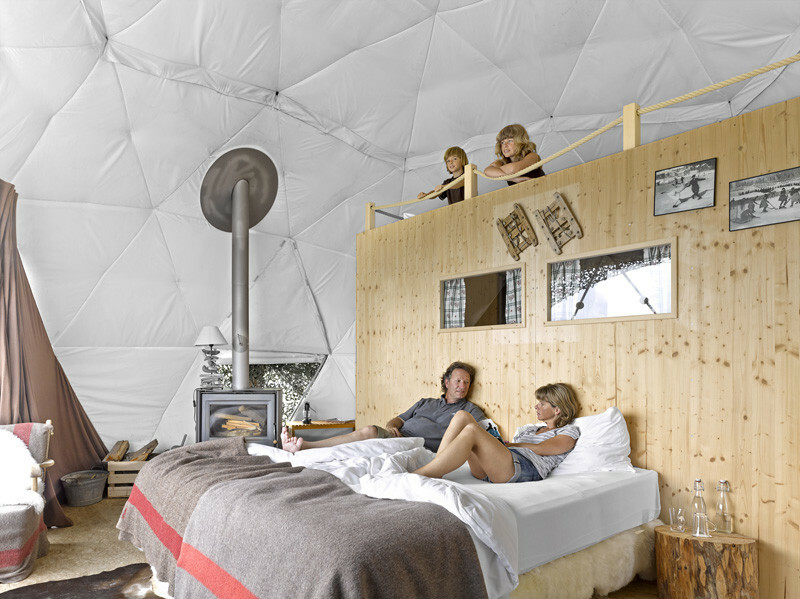 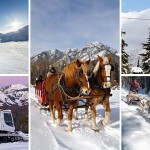 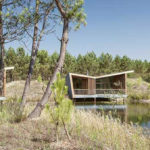 You can also stay at the hotel in the summer, which tends to draw a lot more families.